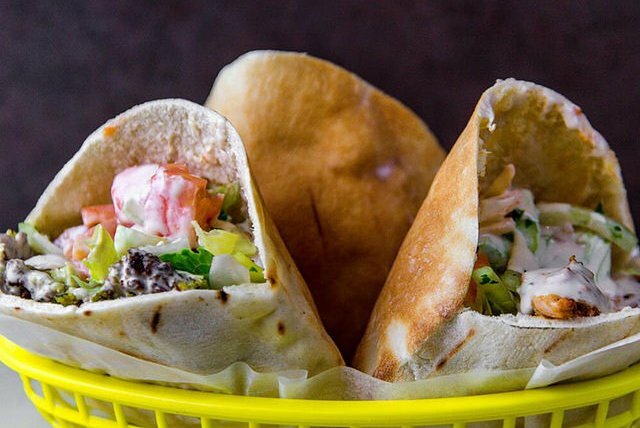 Mamoun's Falafel, a NYC institution, recently opened in Old City. It can be hard to find a cheap-but-filling lunch option in the city. Even harder to find one that's also healthy, or at least not terrible for you. That's why this deal at the new Mamoun’s Falafel in Old City is so great. The fast-casual eatery is officially opening in Philly on Monday and offering $2.50 classic falafel sandwiches through Wednesday. That means you can go out for lunch three days in a row and still spend less than $10 total. Amazing. Mamoun's Falafel has been a staple for those in Manhattan's Greenwich Village for nearly 50 years. Its falafel combines chickpeas, onion, garlic, parsley and spices. On the Philly menu, sandwiches are priced between $4.75 and $8.75, while plates are anywhere from $7.95 to $12.95. Even without the grand opening discount, that's still budget friendly.